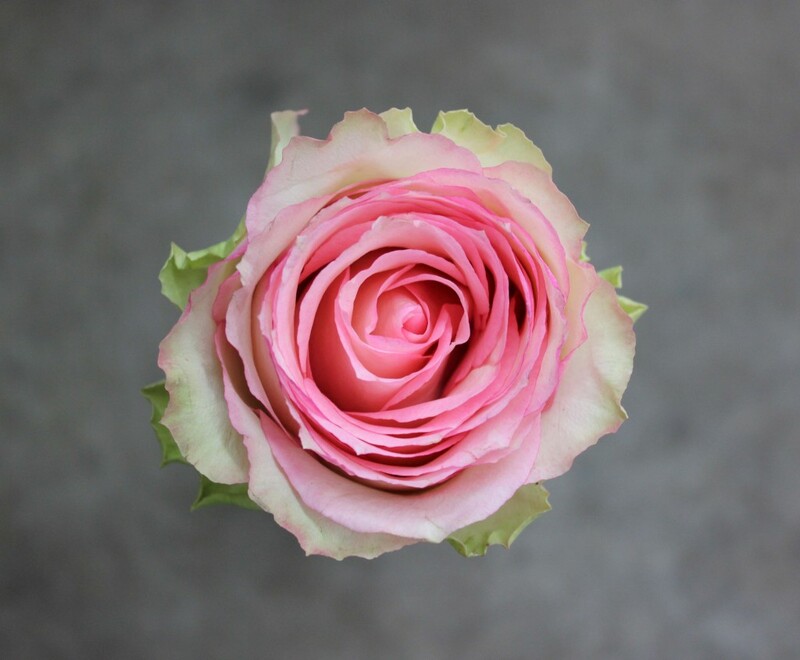 Esperance is a bi-colored rose showing off its light green outer petals with medium pink edges. 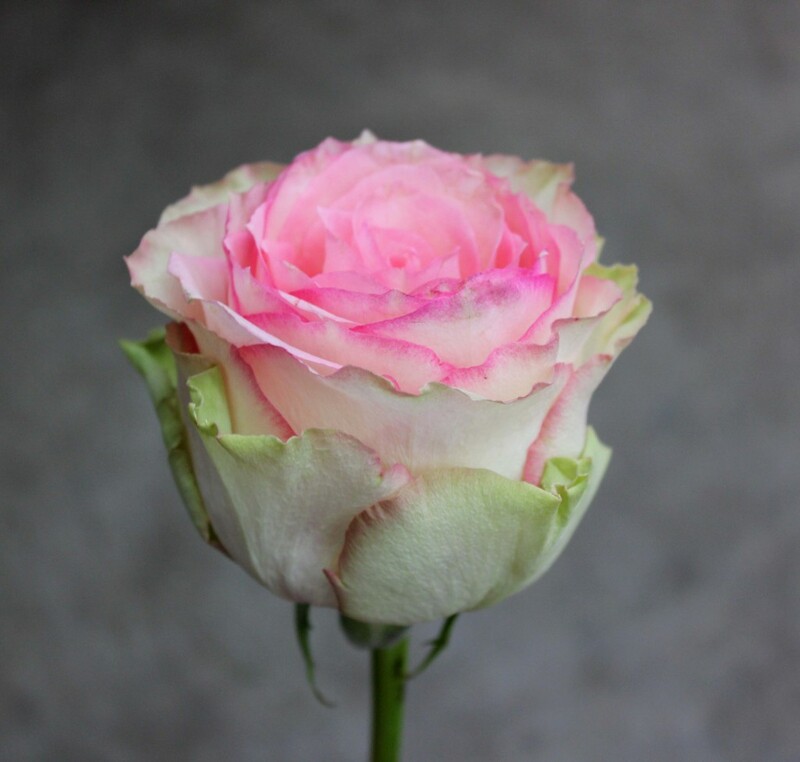 As your eye moves from the outer light green petals towards the inner petals the color fades into light pink. This rose contains many thorns and has slight to no scent. 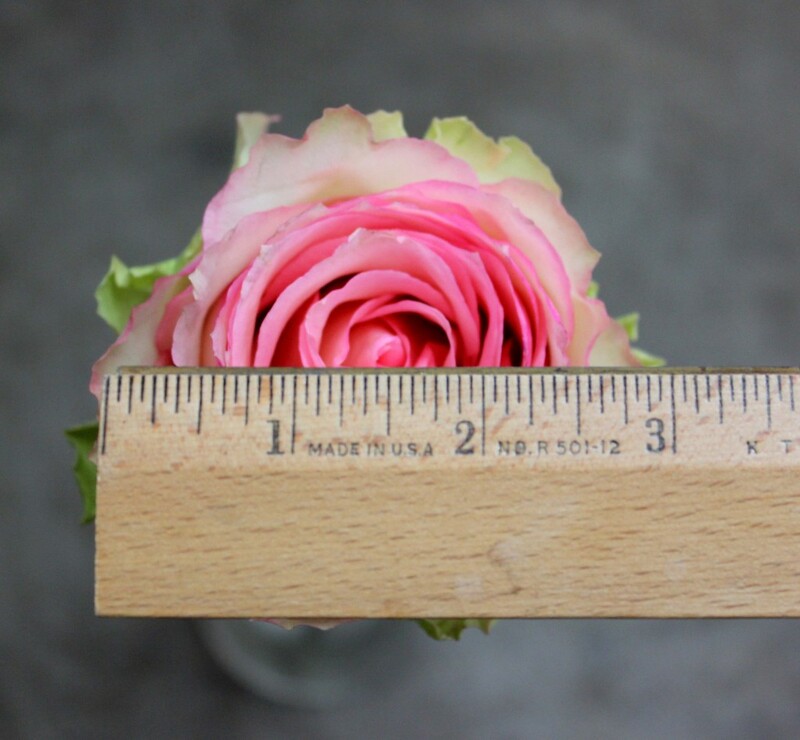 It measures to about 3 inches in diameter.